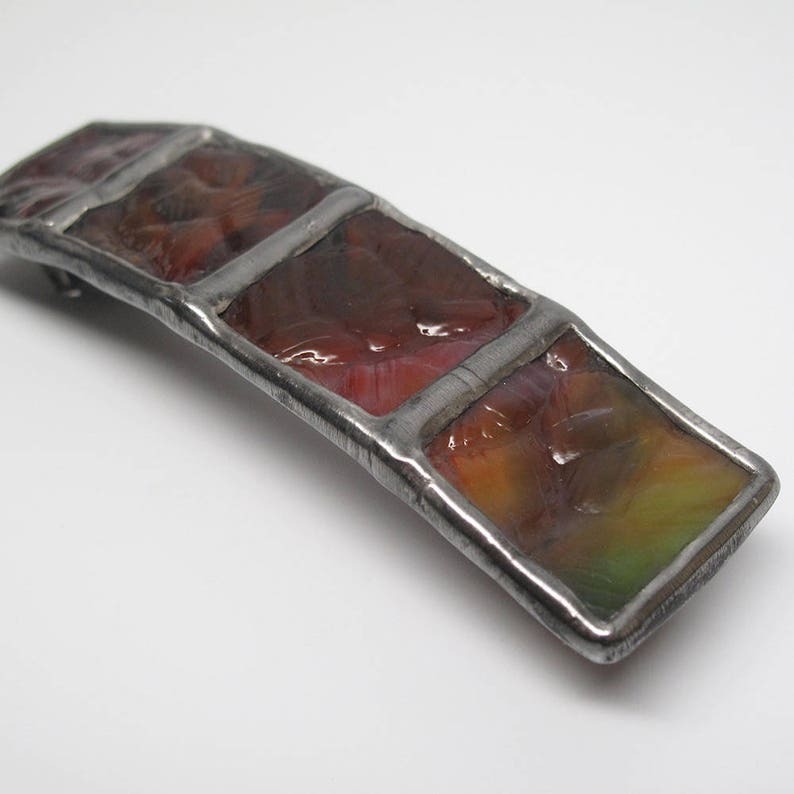 A large, bubble-textured multi-colored stained glass barrette, edged in silver that has been treated with a black patina. The textured glass features colors of red, brown, purple, orange, yellow and green. 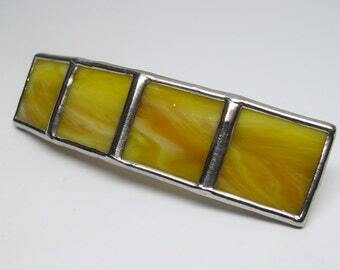 The glass is securely soldered to a stainless steel french barrette style hair clip. Actual Size: 1" x 4"